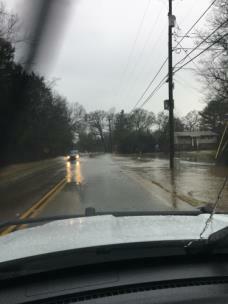 Several local roads in the Hixson and Middle Valley area are experiencing partial flooding and standing water due to heavy rain, authorities said. The area of 7600 Middle Valley Road and 13700 Lillard Road are experiencing water on or near the roadway. 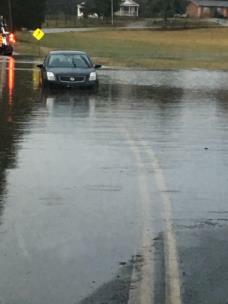 The 10500 block of Hixson Pike and the 2900 block of Igou Ferry Road are also experiencing standing water over the roadway. Drivers should exercise caution when traveling these areas as well as other areas where water is known to stand in times of heavy rains, officials said. Flooding was also expected along Lookout Creek. Flood stage is 12 feet and it was forecast to rise to near 13 feet by Sunday morning. 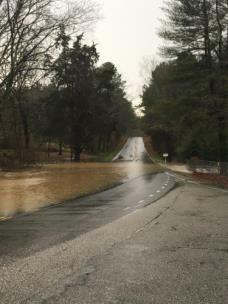 At 13 feet, minor flooding expands along Sells Lane in Trenton, Mason Road near Rising Fawn and Creek Road near New England. All these roads will be closed. Minor flooding was set to expand downstream into Lookout Valley.